If you’re not a serious photographer, odds are your smartphone has taken the place of a traditional camera. But when you’re on vacation, the rules are different. Smartphones have trouble capturing motion shots and are limited at night, and — unlike with a posed family photo — there aren’t always second chances. Plus, unless you’re willing to pay the roaming charges, why risk carrying around an expensive smartphone full of personal information when you can use an inexpensive compact digital camera that takes dramatically better photos? 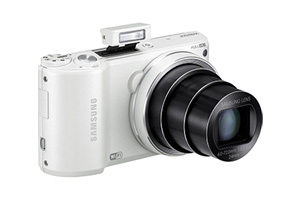 The entry-level Samsung WB250F comes with a 14.2-megapixel backside-illuminated (BSI) CMOS sensor and an 18x zoom lens. For those who don’t speak techie, that means you won’t get professional quality, but it’s well beyond what even the most advanced smartphone camera can provide. Of course, the real appeal of this camera lies in its adoption of basic smartphone features: With a built-in Wi-Fi connection, you can upload images to your Facebook® page, email them to a friend, or back up your latest shoot to cloud storage. Samsung.com; from $180. Take a quick look at your Facebook albums. Were most of your pictures taken at night? (Yes, this means you’re guilty of drinking and shooting.) 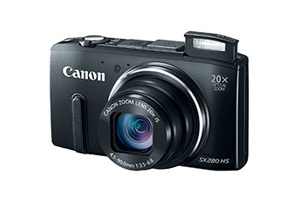 We won’t judge you, but we recommend that you invest in the Canon PowerShot® SX280 HS. Not only does this 12.1-megapixel camera give you 1080p video capability and some of the best photo quality you can get from a compact megazoom, but this model truly shines in the dark with its large sensor and image-stabilization technology. For an added cool factor, a built-in GPS automatically embeds photos with location information. Canon.com; from $300. If your experience with photography extends well beyond Instagram® photo-sharing software, consider the Sony Cyber-shot® DSC-RX100, the elite of compact digital cameras. 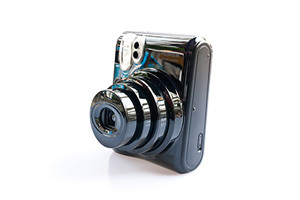 It’s not cheap, but it has an unbeatable shutter speed, an elegant design, and virtually matchless photo quality. With a sensor for extreme low-light shots and a 20.2-megapixel lens, the Cyber-shot was rightfully given an Editors’ Choice award for Best Prosumer Compact Digital Camera by Cnet. Sony.com; from $650. 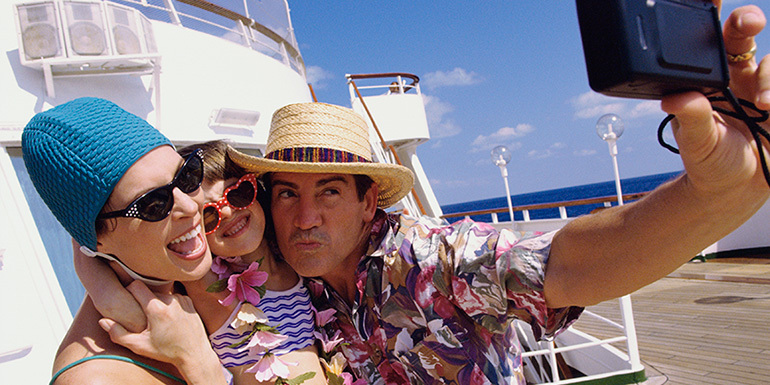 Unless you’re going for the ’90s tourist look, a bulky Polaroid® camera is simply not a practical choice for a cruise. Thankfully, you can still satisfy your urge for immediacy with the Fujifilm Instax® Mini 50S. This small camera snaps and prints out instant wallet-size pictures in surprisingly crisp colors. Perfect for the compulsive scrapbooker, the Instax lets you start your scrapbooking project before your vacation is even over. Fujifilm.com; from $92. 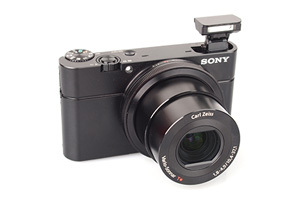 One glance is all you need to know that this is not your typical compact camera. With a rubber grip and a rugged appearance, the Pentax Optio® WG-10 and WG-3 are made with the adventurous photographer in mind. 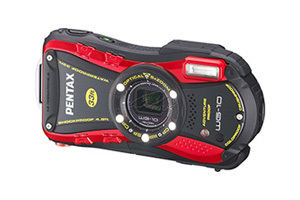 These cameras, which Pentax claims are “waterproof, shockproof, crushproof, coldproof, and dustproof,” debuted in April. For the true outdoorsman, the even more durable WG-3, which has optional GPS, includes altitude and depth gauges. Target.com; from $180. 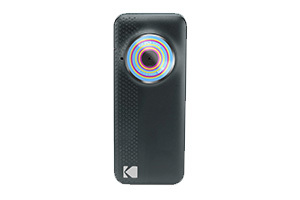 Most compact digital cameras have HD video capability, but if you find yourself shooting videos more than taking photos, save your money and go with the Kodak PlayFull®. This inexpensive and highly portable model can shoot up to 10 hours of image-stabilized 1080p — the highest quality there is — HD video. Automatic lighting adjustment and smart face-tracking technology ensure great quality, while on-camera editing and social media connectivity let you edit and share without a computer. If you want to take a more traditional approach, this model also takes 5-megapixel HD stills. Amazon.com; from $86. 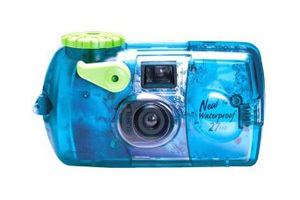 For third-world and developing areas, an inexpensive disposable camera like the Fujifilm QuickSnap Marine is a great option when you shouldn’t be carrying around camera equipment. This 35mm single-use camera won’t match the quality of the other compacts, but it’s waterproof up to 30 feet — something digital cameras can’t match — and costs next to nothing. Fujifilm.com; from $9. Canon and PowerShot are registered trademarks of Canon Inc. in the U.S. and/or other countries. Instagram is a registered trademark of Instagram Inc.
Sony and Cyber-shot are registered trademarks of Sony Corp.
Polaroid is a registered trademark of PLR IP Holdings. Fujifilm and Instax are registered trademark of Fujifilm Corp.
Pentax and Optio are registered trademarks of Pentax Ricoh Imaging Co.
Kodak and Playfull are registered trademarks of Eastman Kodak Co.
What’s your camera of choice when you’re on vacation?